Tiki Bandages- Rare! Sold Out! 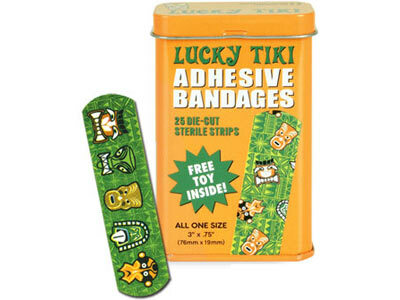 For you bandage collectors (yes, there are such people out there) we have these rare, discontinued Tiki bandages. They come 25 to a tin. We only have a few of these tins and they are highly collectible. Because of the rarity of this item we are limiting them to 1 per customer.